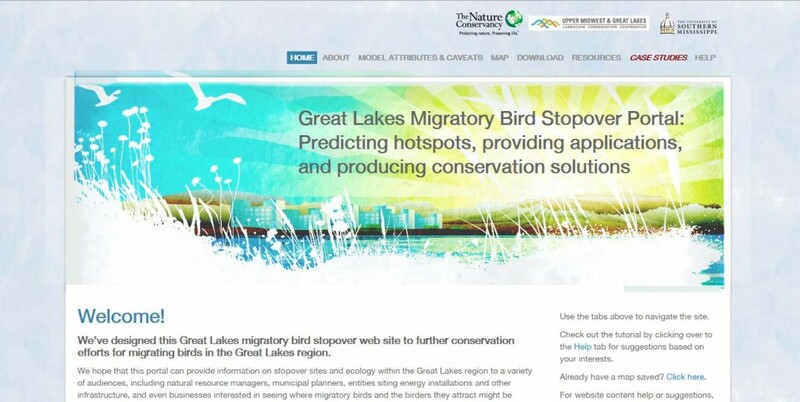 As an expert on wildlife and wind turbine mortality impacts, I can safely say that hundreds of massive wind turbines on Lake Erie will have a tremendous impact on these species, easily killing tens of thousands of birds annually. This estimate of mortality to birds is no stretch of the imagination when one considers that the poorly sited McCormick Convention Center located on Lake Michigan has been killing over 1000 birds annually for decades. Major contributing factors for this mortality are high concentrations of birds at this location and poor visibility causing birds to fly low into this building. 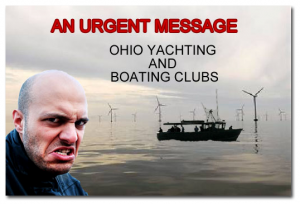 Wind Turbines on Lake Erie will create far more carnage by actually attracting birds to these locations by putting low altitude flight patterns of birds in times of low visibility, right into the devastating rotor sweep of these spinning turbines. I I also find it odd that I am making these comments to the Department of Energy, an agency that does not normally deal with wind turbine wildlife impacts. As a result, I want to caution the Department of Energy about getting expert opinions from the Interior Department and wind industry research. The problem this poses is that neither of these entities are qualified to give opinions because together they have been producing fraudulent wind industry research that has been used to hide the majority of wind turbine related mortality impacts since 1985. The Lake Erie Improvement Association with supporting opinions from 13 birding organizations, states the Lake Erie Marsh Region is recognized as globally important for migratory birds as millions of migratory songbirds, shorebirds, and waterfowl stop here to feed and rest every spring and fall during their long-distance migrations. In addition, Lake Erie shorelines and attendant inland natural areas are also home to a large number of permanent residents. Nearly 400 bird species have been documented in this region. 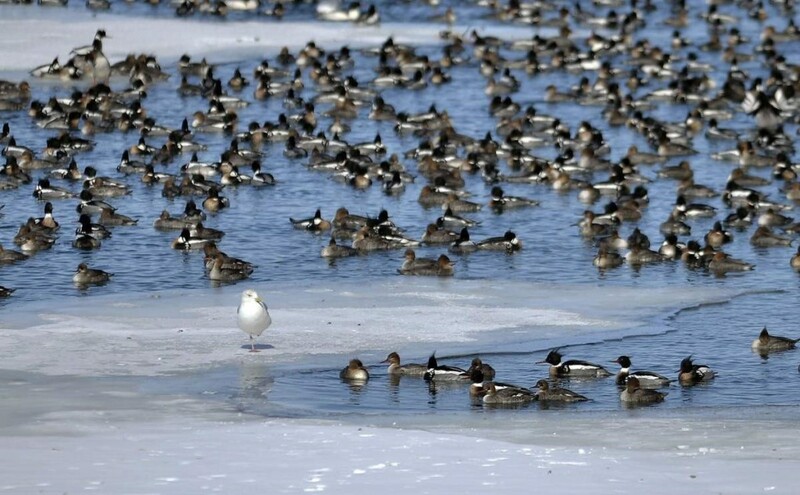 Visiting birders travel to this region of northwest Ohio. Lake Erie marshes make up the largest stopover habitats in the eastern United States between coastal habitats and northern breeding areas. These high numbers are very significant, and create an entirely different scenario than those given in this projects contrived bird surveys. One of the experts quoted for this project made the following statement: “Biologically significant impacts to any bird or bat species, including those that are endangered and threatened, are highly unlikely”. Industry expert Dr. Kerlinger went on to say that this opinion drew upon survey data collected at the project location and impacts were reviewed on birds and bats of offshore wind farms in Europe and onshore facilities in the United States. For this false opinion Dr. Kerlinger drew upon the flawed survey data collected at the project location. He also reviewed the very limited information available pertaining to offshore wind farms. But most importantly, the mortality evidence from land based wind energy facilities looked at was produced from bogus nonscientific research studies conducted over a period of many years. The European Wind Energy Association in their recent report, “Birds and offshore wind farms” made this true statement: “For offshore wind, there is little knowledge regarding certain aspects, such as collision mortality”. Keep in mind that the first offshore wind farm was constructed 22 years ago in Denmark in 1991 and little is still known about offshore wind turbine collision mortality. While all this may seem amazing to some, it makes a little more sense when one realizes that offshore wind turbine impacts cannot be studied with conventional wind industry methodology. Those methods call for searching around turbines for carcasses and then making calculated estimates. This cannot be done with offshore turbines because bodies drift away and remains quickly become fish food. The obvious thoughts to most reading this are that there are other ways to get this information: Cameras. It would be so easy and inexpensive to do so with 24-hour video surveillance on a few select turbines. So why has this not been done? It never will because this visual truth about the wind industry’s ongoing bird and bat genocide would be revealed. It has not been done for the same reasons that it has not happened on land based wind turbines. Camera surveillance would be this self-proclaimed green industry’s worst nightmare. The site of peregrine falcons, whooping cranes, bald eagles or any beloved species being cut in half would not sit well with the public. With cameras, the industry’s hidden mortality would be revealed and the numbers would be staggering. Slow agonizing deaths of victims along with bodies being removed by scavengers and wind personnel would also be revealed. I have also reviewed a number of Dr. Kerlinger’s wind industry related mortality studies. I have found all of them to be unscientific due to severely flawed research methodology. I found data his collection methods to be very biased and found his opinions and reports lacking in giving the professional forthright information one would expect from a true expert. **** Another research group Tetra Tech conducted radar studies for this project. Like Dr. Kerlinger’s research, I am well aquatinted with its unscientific wind industry research. Besides reading over a severely flawed mortality study from the Hatchet Ridge wind turbines in Northern CA, I even had credible evidence given to me of mortality searches written up for these turbines, that did not take place. As for Tetra Tech’s Lake Erie research, I found that the their Avian and Bat Studies were deliberately designed so important incidental data could be excluded, so radar sampling missed the highest concentrations of migrating species and very important data detailing lower altitude bird flight patterns during periods of low visibility were left out. When dealing with one of North America’s most important and highest concentrations of birds, one would think that credible scientific radar studies would have included year-round data and credible observations. The Tetra Tech studies were supposed to provide baseline data for risk assessment. But this is not possible considering the limited unscientific data collected for this project. These studies included also no information or opinions about avian behavior responding to the absence of ice expected around these offshore turbines during winter months, the risk created by increased year round perching availability attracting species, and the attraction of species from the increased food available to raptors and fish eating species at turbine sites that will accumulate because the cover provided by offshore turbines. The amount of ice cover on Lake Erie varies with the shallow western region of Lake Erie icing up first. The open water created by these turbines during periods of ice over will attract great numbers of birds to these turbine installations, increasing the numbers that will be killed. Images of Lake Erie’s winter ice can be seen at the links provided below by NOAA. As for wind turbine impacts, everyone accepts the fact that turbine blades kill birds and bats. What the public does not grasp is that these studies are routinely rigged not to find carcasses. From what I have seen in my research, the MO of this industry is to lie, pay others to lie for you and then keep on lying until the profits stop. It has been that way since 1985. I say all this because the only credible wind turbine mortality study I have ever come across was published in 1985. It was also the first of such studies ever conducted by this industry. This San Gorgonio pass study using truly scientific methodology, estimated an annual mortality rate of 6,800 birds per year or 34.5 fatalities per MW, a rate more than 12 times what the industry is currently reporting. Every other study I have read pertaining to wind turbine mortality has used methodology to produce false data and as a result, these studies are fraudulent. Decades before wind turbines came on to the scene wildlife biologists used daily searches when looking for carcasses around communication towers. They did this because it was proven to be the most reliable methodology to get accurate mortality data. Periodic searches were also conducted far beyond standard search areas checking for missed carcasses. Generally, these standard search areas were conducted as far out from towers as the tower was tall. Periodic expanded searches were conducted as far out as 1 1/2 times tower height. Today with this fraudulent green industry, carcasses searches are not daily and for 400 -500 ft. tall turbines, the industry doesn’t even fully search an area 150 feet out from turbines. Proper search areas for these turbines should be or account for carcasses out to 600 feet out with periodic searches out even further. Anything found beyond their tiny standard search areas are generally dismissed as being incidental. I know of one study that dismissed several hundred carcasses as being incidental. Many of them were raptors. Mortality numbers given out by this industry numbers are off by at least a factor of 90% and this estimate is based upon the industry’s own data produced in their rigged studies. But since they are eliminating so much important data with rigged methodology and employee interference, the true numbers they are covering up are probably closer to 95-98%. There are also cases when the mortality numbers are even higher. For example, with endangered species, if no fatalities are ever reported there is no data. This has been the case of the whooping cranes. The central flyway population was growing steadily each year until about 2006, the beginning of the turbine invasion in their habitat. The wind industry primarily uses carcass data found in their “designated” search areas to estimate mortality. I happen to have evidence that shows over 90% of bird and bats smashed by turbine blades fall past the outer reach of turbine blade tips. In other word if a turbine blade is 50 meters then over 90% of the carcasses will be propelled beyond 50 meters from towers. Carcasses are primarily not looked beyond the blade tips and the industry like to pretend they do not even exist. This may look good on paper but this search methodology is worthless. Casualty searches in this study were completed just once per week on roads and gravel pads. I could scan easily every one of these cleared graveled areas around these turbines at least once a day. Waiting a week allows for scavengers and wind personnel more than enough time to pick up carcasses. Making matters worse: “Casualties found outside the formal search area by observers or by FRWF personnel were treated following the above protocol as closely as possible. Casualties found in non-search areas (e.g., near a turbine not included in the sample of search area) were coded as incidental discoveries“. In other words, wind personnel are allowed to touch and were picking up carcasses during this study which further invalidates any scientific credibility. The word “incidental” is important here because it is a trump card for data exclusion, being used in wind industry studies. It also allows wind industry personnel to handle, move and even hide carcasses when studies are being conducted. When studies have a week, two weeks or even a month intervals, wind personnel have reams of time to locate carcasses ahead of searchers. These research activities produce fraudulent research data. For example, at Altamont Pass during years of formal studies, dozens of golden eagles killed by turbines were excluded from mortality estimates because they have been placed in the incidental category. How do these dead eagles get placed in the incidental category? Wind personnel go around and pick them up ahead of the people doing standardized surveys. Icebreaker expert Dr. Kerlinger, also uses incidental carcasses in his flawed studies. In one mortality study conducted at the Maple Ridge wind farm in New York state, over 200 incidental carcasses which were most likely all turbine fatalities, were removed from the data. “If all added incidentals were treated as survey finds, the final fatality tally would have included an additional 66 small birds fatalities and 144 bat fatalities,”. The truth is that wind industry’s mortality research across America has changed from bad to worse over the years. For several years now, carcass or mortality searches used in the industry’s fake studies, are generally completed about once per week on roads and gravel pads of turbines. In order to understand the absurdity of all this, imagine a mailman pulling up to a mailbox then glancing at your driveway. In a fraction of a second a carcass sitting there in a mangled heap would be incredibly easy to spot. Now think of the hundreds of stops a mailman makes every day. It is about that easy to pre-scan for carcasses. Yet in the wind industry’s research now being produced, the industry makes it seem so difficult to find anything from the size a bat to an eagle in their search areas. At one time, there was some truth to this it but this is no longer the case because search areas have been conveniently reduced to roads and cleared areas around turbines. It is not difficult to search a road or and the gravel pad of a turbine site as anyone can see in this image from the Wolfe island turbines. Anyone with decent eyesight could thoroughly scan around dozens of turbines in these ridiculous designated search areas (roads and gravel pads) several times a day. At these Wolfe Island turbines an eagle, gyrfalcon or snowy owl carcass could be seen from several hundred yards away, but it still would not be included in the data because these turbines had such tiny “designated” search areas. How important are all carcasses? Waiting a week allows more than enough time for scavengers, lease holder or wind personnel to pick up most carcasses. Just finding a carcass and flicking a few feet away from a designated search area excludes a carcass from the data. But it gets much worse because a single carcass found 100-200 meters away from a turbine base on a narrow road, could actually represent 200 or more carcasses in an honest study that fairly calculates for carcasses missed in the proportion of a search area not scanned by researchers. The industry has hidden the slaughter of many millions of birds and bats. Currently the AWEA is claiming they are only killing about an average of 2.9 birds per MW and I expect this fake number will decline along with the increased rigging of wind industry studies. From my research into this industry’s bogus mortality studies, the real number is at least 10-50 times higher depending on locations with some large turbines killing over 1000 birds and bat per year. (1) By searching turbines that are not operational so bodies are not found, (2) by searching for bodies in grossly undersized areas around wind turbines, (3) by not searching turbines daily or even several times daily which allows time for carcasses to be moved or hidden by employees, more time for bodies to be consumed by predators, and more time for picked carcasses to be picked up by leaseholders wanting to protect their income, (4) By not using trained dogs in searches which could quickly find virtually every small carcasses in a large areas around each turbine, (5) By avoiding turbines that are known to be killing the most birds at bats at a wind farms to be included in mortality studies, (6) By avoiding searches during periods of high usage by migrating birds, (7) By not counting mortality wounded birds that have wandered away from turbines, (8) By not counting birds taken to rehab centers which are later euthanized or permanently placed in captivity, (9) By repeatedly hiring industry shills to make sure that wind industry protocol is followed, (10) by not conducting mortality searches the first year of wind farm operation, 11) By letting farming practices plow carcasses into the ground and conceal others with dense growth in designated search during mortality surveys, (12) By rigging data input and calculations and discarding very important carcasses from the data and declaring them “incidental carcasses”(12) by outright lying about problematic data such as fatalities to endangered species, and most importantly (13) By restricting formal search areas to the roads and cleared areas around turbines which also happen to also be the easiest areas for wind personnel to pre-scan for carcasses ahead of formal searches, and (14 ) By not allowing 24 hour camera surveillance on turbines that would expose the truth regarding mortality. Camera surveillance on wind turbines at Altamont was suggested by well-meaning biologists over 25 years ago and to this day it has never happened. In the mortality report for the Criterion wind turbines it was claimed that searchers systematically searched along predetermined in transects in their search plots. I was told something completely different by an eyewitness (written statement) that he observed on two occasions workers randomly picking up carcasses from the cleared areas around turbines that were at the time also having formal mortality surveys. Two people were seen quickly picking up carcasses from the clear areas (roads and graveled areas) around the turbines. These areas were also the designated search areas for the study. They were seen dumping carcasses in a bucket and driving off to the next turbine. They were not seen with a pen, no hand-held devices, a computer, no notebooks, they did nothing but grab bodies and drive off. This eyewitness even talked with them and saw bat carcasses in their bucket. They did not appear to be professional and barely spoke English. He also said he would be willing to testify to what he saw. This reported activity was likely an organized pre-scan for carcasses ahead of formal searches. This observed activity was nothing close to being scientific and took place when formal searches were being conducted on these turbines in Maryland. These turbines are also located in the known habitat of the endangered Indiana bat. In my evaluation of this 7-month wind industry study, I believe over 25,000 bat fatalities and about 7800 bird fatalities were concealed. This represents a death rate of 111 birds/MW and 357 bats per/MW or nearly 468 birds and bats killed per MW per year. This was the estimated mortality from just 28 – 2.5 MW turbines in Maryland. Their tiny search areas around the huge turbines amounted to what was claimed to be about 68% of a 50-meter distance from towers. These turbines had blades 50 meters in length and search areas and data should have allowed for launched carcasses out to at least 200 meters from the turbines. I contacted the Interior Department about all this and they never responded back to me. Are turbine carcasses being hidden? YES. With voluntary regulations, rigging and an industry using a premeditated pattern of deliberately stupid, contrived, and completely nonscientific studies, the truth about wind turbine mortality impacts has been hidden. About a year ago I had a meeting with a distraught wind tech working in CA. I was shown chopped up eagle images and was told about 5 golden eagles killed in 1 month by his company’s wind turbines. I know these eagles were not reported because a USFWS agent provided me with the eagle carcass totals they had from the region. I told the USFWS about this and waited weeks but there was no investigation. Unfortunately, this wind tech had unknowingly signed a nondisclosure agreement and did not even know it until I pointed it out in his contract. He wanted to tell this story but the USFWS would not give him immunity. Without immunity, he would have been prosecuted for reporting a crime. My research into the Eagle Repository located in Denver has uncovered that this facility has secretly received over 33,000 eagle carcasses since the Clinton administration opened it in 1997. Thousands of eagles are being added to this carcass total annually. Thanks to the Clinton Administration, new laws were put in place and the Freedom of information act was changed protecting this fraudulent green industry. As a result, the public will never know the cause of death and origin of all these eagles. 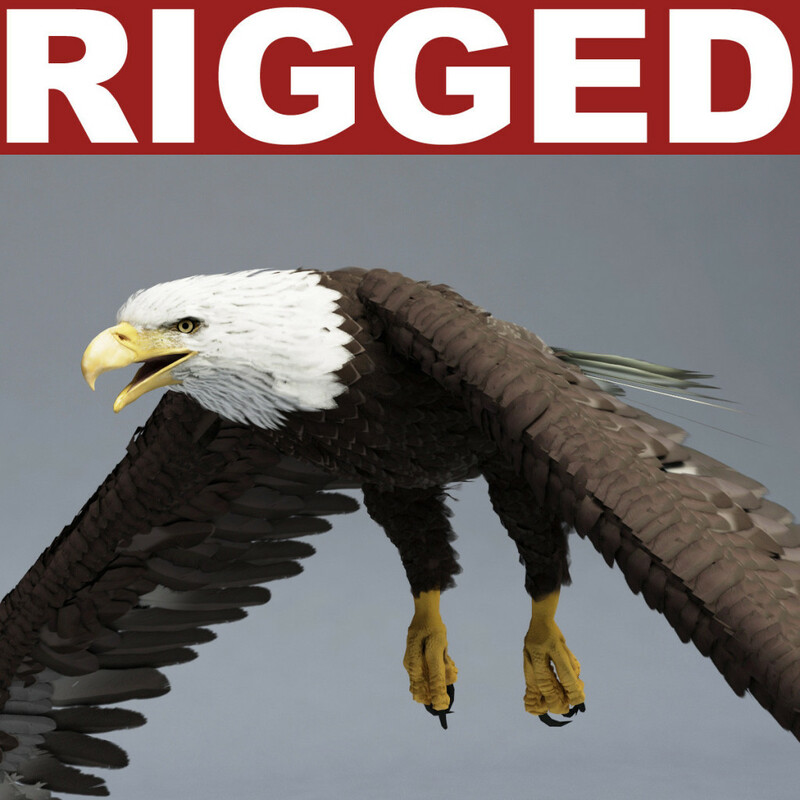 Now after years of this fraudulent wind industry NOT reporting their massive slaughter to eagles, the Obama administration has put together a recent proposal that will allow the wind industry to legally slaughter 6200 eagles annually with their lies about “properly sited bird safe” turbines. This proposal was put together in Washington because corruption rules in this country and the wind industry’s slaughter of eagles is no longer a secret. How many birds are being killed annually by the wind industry? The annual estimated bird mortality from wind turbines in the US is claimed to be no more than 573,000. However, I want to point out that this number used by the bird conservation groups, the media and Government agencies, was created from a culmination of fake industry studies using a variety of highly deceptive research methodology tricks. Then using all this false data from the industry’s fake studies, a new culmination mortality estimate was derived using their false data and further reducing industry mortality figures. This was done by primarily accounting for increases in the tower heights of turbines as if all wind turbines still had 20-foot-long blades. One of the major problems with this bogus estimate is that incredible increases in turbine rotor sweep and proportional massive search area adjustments that should have been made, were not. These increases should have accounted for turbines blades up to and over 300 feet in diameter. This was all left out of this fake study creating this fake estimate. Currently the AWEA is claiming they are only killing about an average of 2.9 birds per MW and I expect this fake number will decline along with the increased rigging of wind industry studies taking place. 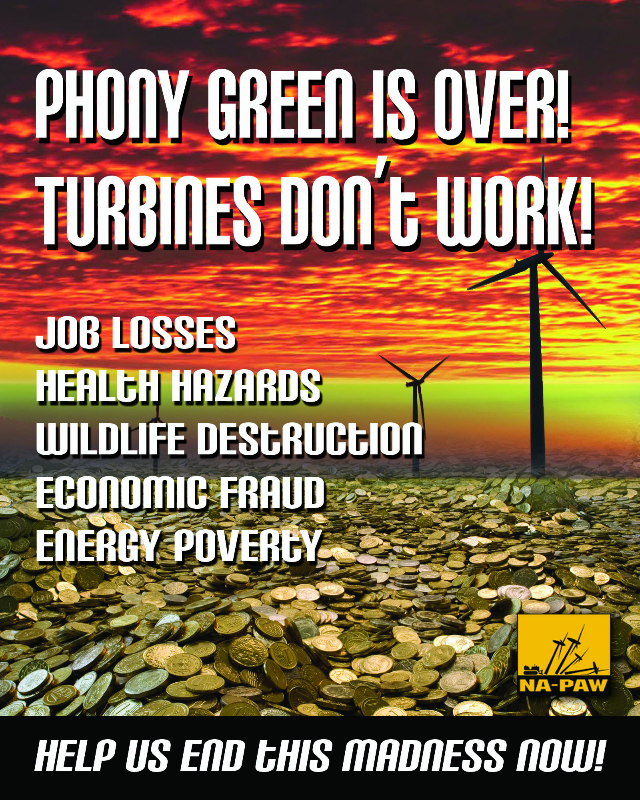 From my research into this industry’s bogus mortality studies, the real number many millions each year and depending on turbine locations at least 10-50 times higher than current estimates. Is Federal wind industry related research being rigged? Yes, and here is one example. The Altamont Pass area reportedly has largest density of breeding Golden Eagles in the world. This myth was made up from bogus wind industry research. Altamont is important because this wind energy site has been slaughtering golden eagles for decades. In 2015 the USGS published a report that estimated the eagle population to be approximately 280 pairs in a 2000 square mile region around Altamont. They came to this conclusion by relying on a previous bogus study from the Clinton Era and rigging the methodology used for this study. The final USGS estimate of 280 pairs is even more remarkable when it is revealed that this study could only verify 11 occupied eagle nests that produced young in the region. Look closely at the two images. One is from the fake Federal study, the other image is from a publication put together by the Mt. Diablo chapter of the Audubon Society with the help of the Ca Department of Fish and Game and numerous other local agencies. The Audubon golden eagle nest map makes up a geographic area that amounts to about 40 percent of the area represented in the fraudulent USGS golden Eagle Population report from 2015. This Audubon shows 6 confirmed nesting sites and 4 probable unconfirmed nesting sites. The Audubon information was derived from many years of observations by a great number of qualified people. This information also is consistent with my knowledge of the golden eagles in this region. Using this actual occupancy ratio from Audubon, the remainder of the USGS study area probably has no more than 12- 20 additional golden eagle nest sites. There is no question that from my expertise, knowledge of the area and my own research on the golden eagles living in this area, that the eagle population estimate of 280 pairs has been exaggerated by at least 10 times. Why? This convenient survey approach gave the industry the fake numbers needed to hide a declining golden eagle population. Motivation? Fake population numbers hiding declining eagle populations allow for more turbines to be built which create additional wind industry profits. It is against the law to kill eagles, yet when a wind tech tells me about 5 unreported chopped up eagles killed in one month by his company’s turbines and the USFWS does nothing, there is something very wrong with the system. When I have evidence of mortality searches written up in a mortality study that never took place and the Interior Department will not investigate, there is something very wrong with the system. When a Federal study on the eagle population around Altamont has embellished their numbers by more than ten times, there is something very wrong with the system. When the Eagle Repository has received over 33000 eagle carcasses with thousands upon thousands of these eagles coming from wind turbines and the Interior Department will not tell the public, we have big problems. The Denver Eagle Repository or what truly is the “wind industry’s eagle morgue”, holds the hidden truth about this terribly destructive industry. But just like this carnage taking place, the public will never hear about the true carnage caused by Lake Erie turbines. 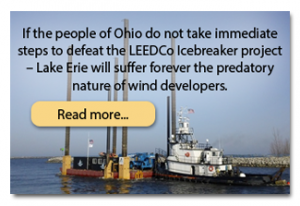 Lastly about this projects’ impacts, hundreds of turbines on Lake Erie will kill off the bald eagles using this region. Bald eagles will be killed when trying to hunt fish and birds attracted to tower sites. Not only will they hunt the concentrations of waterfowl attracted to these sites, they will be killed from blades when foraging off the waterfowl killed by turbines. Are any of these turbines really needed? No. Surely the Department of Energy is aware that enough cheap energy is being exported from the US that could produce triple the energy production from all of America’s eagle killing wind turbines. This activity will last for decades, giving engineers plenty of time to completely redesign these terrible turbines. Currently this industry is forcing America to trade these industrial towers, that will always produce just a small portion of our energy needs, for a coming extinction of species, with no change in climate and far few birds living across the world. I hope the Department of Energy will help America clean up this horrible mess. A start on the right path would include some badly needed scientific research being conducted by ethical researchers.